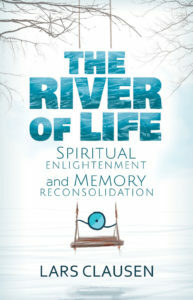 I’m pleased to announce the publication of The River of Life. Just ironing out a few formatting issues before everything is complete for uploading the book at Amazon. It’s been a long time since my last post – all the way back to the release of Memory Reconsolidation Applied. During that time, I found myself on what felt like a long exploration. The calm space of ICE seemed to beckon me more and more. And as I wrote in the last book that calm space of “nothing” ends up full of “everything.” For the first time in my life, I found myself surrendering to my situation, rather than try to create/fix/manage/manipulate or take control of my circumstances. The experience was new for me. Full of emotions, remembered, experiences, and stored body sensations. I found myself unable to write during that time. At last a new calm arrived. I had reconsolidated the fear of failure, the fear of homelessness, the fear of life and death. Finally the writing came, and it was a joy to put together The River of Life. When the writing was finished, Kristina Tosic took on her own journey of illustrating the book. As a person long familiar with The ICE Method, she brought a heart that already trusted Memory Reconsolidation and The ICE Method for opening the awareness of life. I’m thankful for the comments about the content and the beauty of this book. I have been looking forward to sharing it and opening new conversations!